The Egg Harbor location in Barrington is a frequent eating destination for us. It is close to where we live and has good gluten free menu options. For those not already familiar with Egg Harbor, it serves breakfast and lunch and has a number of locations in the Chicagoland area. On our most recent visit, they offered a Paleo Pancake. Made with egg, almond butter and bananas, there is no flour whatsoever in this recipe. 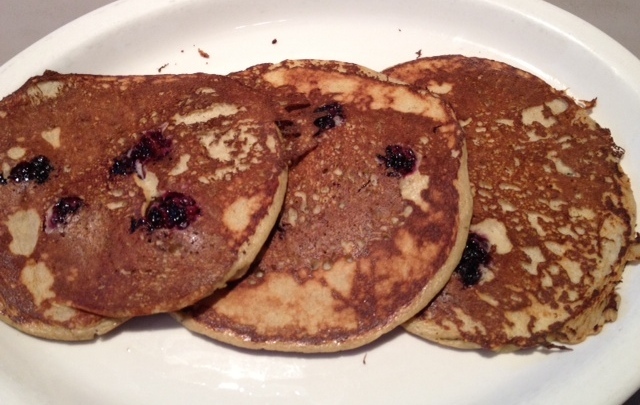 The pancakes are offered with berries or nuts, and I chose blackberries with mine. 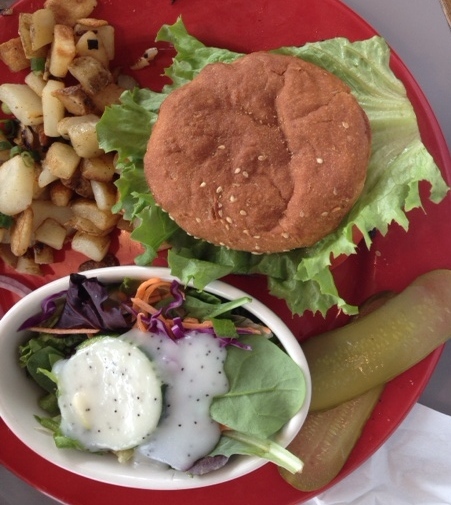 Egg Harbor is also an excellent choice for lunch Besides their excellent chicken salads and other menu options, they offer hamburgers and other sandwiches on a gluten free bun from Sweet Ali’s. 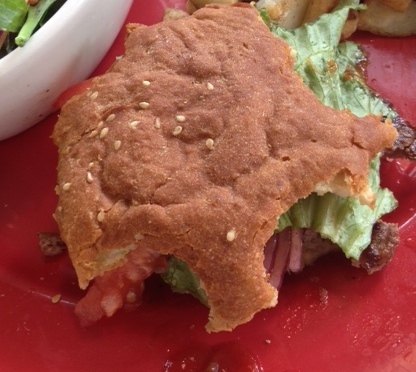 The hamburger buns are probably the best gluten free hamburger buns I’ve had. They hold together very well. The plate includes a generous serving of Harbor potatoes and a small green salad or fruit cup. Altogether a very nice meal. In thinking about my assessments of various gluten free dishes, an important measure is whether or not the item is something I’d look forward to eating, rather than just being something I am able to eat. I can definitely look forward to Egg Harbor’s offerings. 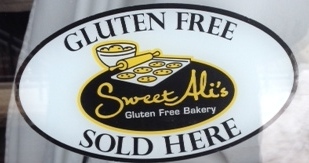 This entry was posted in Restaurant Review and tagged chicken salad, Egg Harbor Cafe, gluten free menu, Harbor potatos, paleo diet, pancakes, Sweet Ali's on March 17, 2014 by goforsix.